Last week we heard that Microsoft may be planning a low-cost or free version of Windows 8.1 dubbed Windows 8.1 with Bing, designed to entice more Windows 7 users to upgrade, and provide OEMs with a way of reducing the costs of their devices. New documentation for Windows 8.1 Update 1 has revealed what Windows 8.1 with Bing will consist of, and how Microsoft plans on positioning it. To start with, there's no mention of free upgrades for Windows 7 users, but it does state that Windows 8.1 with Bing will help OEMs "add Windows to low-cost devices while driving end user usage of Microsoft Services such as Bing and OneDrive." How will it drive usage of Microsoft services? It appears the only confirmed major change will be that OEMs are forced into setting Bing as the default search engine in Internet Explorer. Currently manufacturers can switch the default search engine to whatever they like (for example a deal may be stuck to have Google the default), but this would be prohibited in Windows 8.1 with Bing. Windows 8.1 with Bing is similar to other editions of Windows and should be imaged, updated, and deployed the same as any other Windows edition. However, OEMs will not be able to change the default search engine with the SearchScopes unattend setting, Registry key, or 3rd party installation tools. When a user starts Internet Explorer, Bing is automatically set to the default Search Engine and will override any OEM-configured search provider. No other Internet Explorer defaults are changed. The restrictions only apply to how OEMs must configure their devices; end users will be able to switch out Bing for another search engine in Internet Explorer if they like. Also, while there's mention that Windows 8.1 with Bing will be "low-cost", pricing wasn't mentioned, as is usually the case with OEM editions. 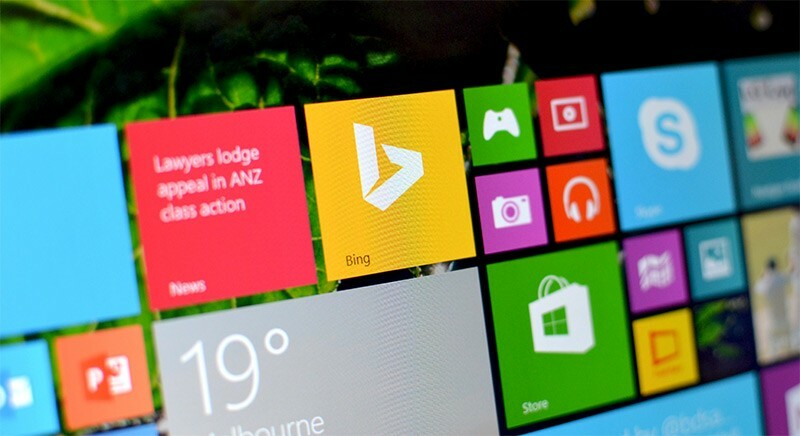 Windows 8.1 with Bing will likely be the operating system we'll see on sub $250 Windows devices in the coming months. With pressure from entry-level low-cost Chromebooks mounting, this new SKU will keep Windows and Microsoft well and truly in the game.